Migrating from a 2G network to a 3G network, Orange considered carrying 20 % of phone calls over WiFi to decrease the load of 3G cells and save on deployment costs. Icosystem identified the critical mass of WiFi coverage needed to transfer a significant capacity. 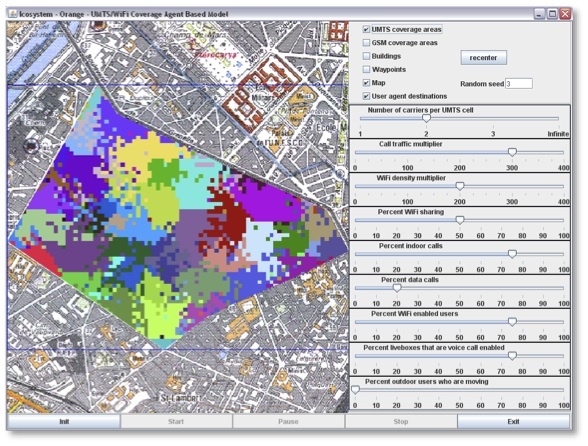 Sensitivity analysis showed that WiFi coverage is strongly influenced by WiFi density and also by WiFi sharing. We can use mobility data to analyze any type of consumer behavior that is dependent on daily fluctuations. An optimizer can find the most profitable business strategy.